I spend a good amount of my time trying to find out about little known New York spots so when I stumbled across a mention of Pomander Walk in my Upper West Side neighbourhood, I had to go and check it out myself. 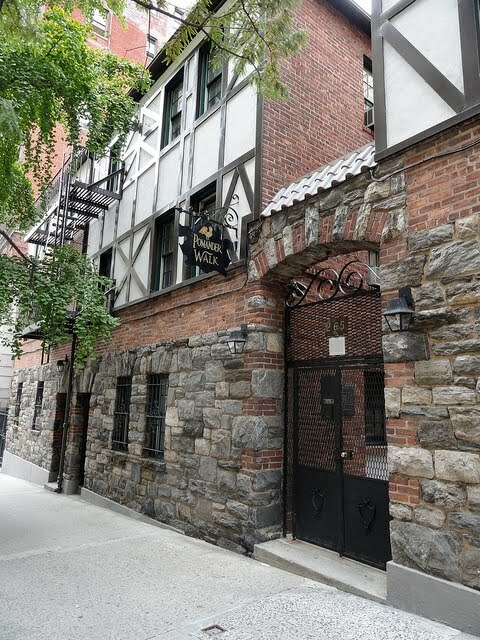 Pomander Walk consists of a dozen or so Tudor houses, squeezed in between rows of perfectly modern and much taller buildings on 96th Street between Broadway and West End Avenue. I have since learned that it was created in 1921 by an entrepreneur who originally intended to build a hotel on the site but was unable to secure adequate funding. 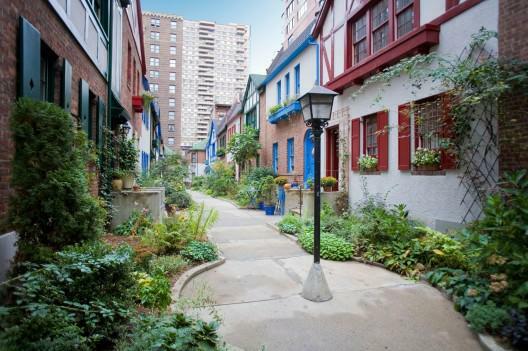 These English style houses were built instead and have been a residential haven ever since. The name originates from an old London street and a stage play. While it is not possible to walk through its iron gates (unless you know someone who lives there), peering through them is like taking a charming, almost whimsical, and certainly completely unexpected step back in time.